There are several home remedies to treat nail fungus. Unfortunately there are only a small handful of treatments that actually work. Most do not work, while others may work for some people but for others it may be totally ineffective. In that case what do you do? Research and compare. Make sure you compare ingredients and check the top products on the market. Another route you can take is to consult a physician or health care provider who may at first prescribe a topical medication. If that does not work he may prescribe a medicine for oral use which could be a tablet, pill, capsule or liquid to drink. Whether it is a topical medication or an oral medicine that is prescribed, both types have synthetic drugs in them. Synthetic drugs are medicine ingredients that give the products (whether topical or oral) their medicinal effect, but they can also have many unwanted side effects. So, please consult with your health care provider about possible side effects of prescription nail fungus drugs before taking. 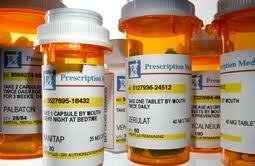 And, if you take them, be sure you are monitored by your physician to see if there is any damage caused. Medications that are rubbed into the skin or spread on the skin or nail are called topical medicines. These could be creams, ointments, creams, gels, oils, powders, and lotions and liquids. It is better to use anti-fungal oil but not anti-fungal powder in case you have nail fungus infection. Anti-fungal powder is best used as a preventive against nail fungus. Prescription topical anti fungal medications can be put into two drug groupings on the basis of the active medicinal ingredient it contains. Many are very strong and can have severe side effects. Topical preparations with azole drugs have fungistatic mode of action. This means they can stop the growth of fungus. Therefore they should be applied on the infected part for the time taken for the keratin to turn over. This is about 4 weeks for the skin. Keratin in the skin is the substance on which the fungus feeds on. Topical preparations containing allylamines group drugs are costlier than topical preparations containing azole group drugs. Topical preparations containing allylamines group drugs are fungicidal medications which mean they can destroy the fungus. An example of allylamine group drug is Lamisil which is a prescription product. Topical preparations containing allylamines group drugs are drugs of choice in treating fungal infections. Unfortunately these medications are not available as OTC products as yet and they do have side effects. Oral anti-fungal medications are more expensive than topical preparations used for nail fungus infection. For the treatment of nail fungus there are a number of anti-fungal oral drugs are presently available in the market. Leave it to your doctor to choose the oral anti-fungal drug that most suits you. Your doctor can best decide that after examining your nail fungus infection. Be sure to inform the doctor of any medical conditions you have, and any medications you are taking. This drug is no longer used for nail fungus infection because it is bad for the liver. Be aware if this is prescribed, in case your doctor is not up to date. Itraconazole is good for treatment of nail fungus infections. The recommended dose is 400 mcg per day for 1 week per month which could be repeated 3-4 times. The main side effects is nausea and itching and can not be tolerated by everyone. In some cases Itraconazole can disturb the liver especially in the quantity of liver enzymes produced. Children and pregnant women should not use this drug, and other should be cloesly monitored by the doctor. Terbinafine is more potent drug than Itraconazole in the treatment of nail fungus. Terbinafine is treatment of choice for toenail fungus infection by many doctors. The recommended dose is 250 mgs for 6 weeks for fingernail infection and 12 weeks for toenail infection. This drug should not be used for children or pregnant women. The side effects include nausea and itching, and possible internal damage. As with other strong oral anti-fungal medications, it is important to have repeated blood tests and be closely monitored by a physician. In some cases, complaints of diminishing of taste has been noticed. Do not use Terbinafine alongside other drugs you may be taking. For example, do not use Terbinafine with other drugs like antibiotics and anti acid drugs. Tell your doctor about any medications or preexisting conditions. There are other methods to treat nail fungus. These methods are more severe and only to be used in the more extreme cases. Surgical Matrixectomy: By this method either the entire fingernail or toenail is removed or quite simply a part of the toenail or fingernail. Chemical treatments: By this method using chemicals like phenol and alcohol the toenail or fingernail is removed.